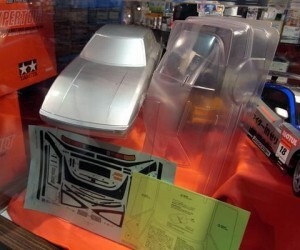 Debuted in 1978, first attracted attention as a sports car Rotary Savannah RX-7 RC reproduced electric car assembly kit. Retractable (Retractable) beautifully realistic style employed in polycarbonate headlamp. 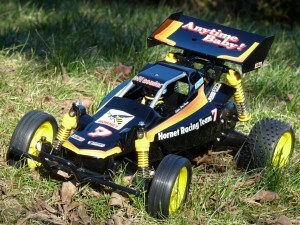 Rear wheel drive chassis with tub battery vertically, M-06. RC mechanism placed side to side, creating a feeling of stability operations by the high weight balance. The prototype for each Body Stickers Customer Service is available for order. A limited quantity for each prototype. 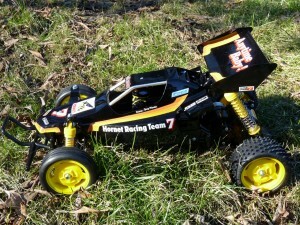 This entry was posted in Future Releases, Tamiya Company on March 20, 2011 by admin. In everyone who suffers by northeast local Pacific Ocean open sea earthquake we visit from heart. We pray the revival whose also one day is quick. Below, the [tamiya] sponsorship event (RC and mini- four running, company seeing academic society) we guide opening schedule, [tamiyasakitsuto] and the business schedule etc of [tamiyapuramoderuhuakutori]. ★ It is information as of March 14th. When it is modified according to circumstance, it is. [tamiyasakitsuto] and the [tamiya] Kakegawa circuit open alongside the circuit calendar. <Shinbashi store> March 14th (month) temporary suspension of business, 15 days (the fire) ~18 day (the gold) business hour 12 o’clock is shortened at the time of the ~18. <Yokohama store> March 14th (month) and 15 days (the fire) temporary suspension of business, 16 days (the water) business hour 10 o’clock is shortened at the time of the ~18. ★ Description above is information as of March 14th. When it is modified according to circumstance, it is. In addition because also the fact that you make illuminating and heating etc inside the store moderate it is please acknowledge. Above, understanding of the customer that it can receive cooperation, we ask may. Changing, we pray the restoration revival whose also one day of suffering area is quick. 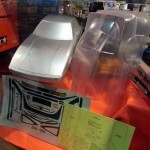 This entry was posted in Event Report, Tamiya Company on March 14, 2011 by admin. 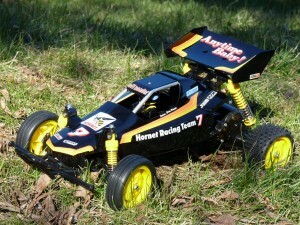 As Tamiya made a new version of my first Tamiya RC car (Holiday Buggy) on a newer and improved chassis 30 years later, I decided to do the same for my second Tamiya RC car, The Hornet, also to tribute the Tamiya’s most sold RC car with 700.000 pieces, not counting the recent re-release! Since its basic chassis and gearbox design still is used on a current kit (Rising Fighter), the base choice was obvious, as in my humble opinion, the reliable, light and fast rear solid axle gives the Hornet its “personality”. I tried to adapt the re-release Hornet decals as well as possible on the different body which I painted black. Only hop-ups used were ball bearings as well as yellow CVA dampers and yellow Super Fighter G wheels as I think they match the colour concept better then the original white wheels, something which Tamiya also did on the Super Hornet. 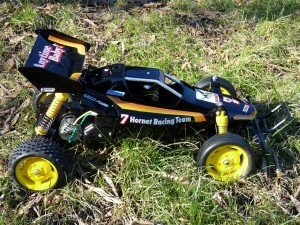 In times of modern ready-to-run high-tech buggies, the Grasshopper/DT-01 chassis seems an extreme anachronism, but it brings great memories to many hobbyists and with its great robustness and simplicity is still a good choice for young beginners, not to forget that on a straight line it is faster then any modern “weapon”. This entry was posted in Customized Builds on March 6, 2011 by admin.